A peptic ulcer of the stomach is a common problem. It has a wound in the abdomen that is called the Stomach ulcer. Those who have bad lifestyle or those who drink much tea, coffee, alcohol, sour and spicy food they are more likely to get ulcer. It takes enormous proportions if it is not cure on time. Research has estimated that at least 1 in 10 people have ulcer. Poha: Take saunf and poha in equal amounts and prepare powder. Keep 20 grams powder in 2 liters of water in the morning and drink it completely until the night. Drink this mixture regularly it will give you relief in ulcers. Buttermilk: Intake buttermilk curry with corn bread daily. 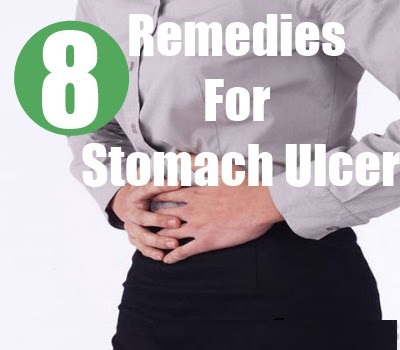 It gives you relief in stomach ulcers. Asafetida: Take asafetida and mix it in water. Drink this mixture it gives you relief in stomach ulcer. Cabbage: Take equal amount of cabbage and carrot. Prepare juice and drink it morning-evening. Drumstick Leaves: Grind the leaves and make a paste with yogurt. You must have to eat once in a day. Raw Banana: Take raw banana and mix 1 pinch of asafetida in it. Eat this mixture and it will cure stomach ulcer. Cumin: Take 1 teaspoon of cumin, 1 pinch of rock salt. Fry them in ghee and prepare powder of it. Eat this powder morning-evening. Drink buttermilk after that. Betel Leaf: Daily intake of ½ teaspoon of betel juice cures stomach wound and pain. Pomegranate Juice: Ulcer patient should intake pomegranate juice and Amla juice. Raisins: Grind 4 raisins and 2 small Harade. Intake this mixture in morning with empty stomach. It cures stomach irritation and vomiting.